The Queen Mary is single handedly one of our favorite locations in Southern California. The ship carries so much history and lore! When you’re aboard, you can’t help but image what the ship was like in it’s hay day. But when you walk into its darker corridors, you might feel a cold draft that makes your hair stand up. Hear footsteps where you shouldn’t. Along with its historic past, the ship also carries some tragic stories. Some have left an indelible mark upon ship and some of those people who lived those stories haven’t left the ship at all. The Queen Mary is famous around the world for being one of the world’s most haunted places. Countless paranormal investigators have stepped aboard The Queen Mary to find evidence of the paranormal and have left with plenty to ponder. If you ever wanted to be apart of a paranormal investigation, look no further than this exciting event. Below you will find information regarding an exciting opportunity to explore the dark corridors of The RMS Queen Mary with some notable guests! The Queen Mary has invited the finest paranormal investigators in the world to come aboard, hosting a recurring intimate investigation of the Revenant Room Theatre and the historic Rope Locker in Voyage to the Other Side: An Ongoing Paranormal Investigation. 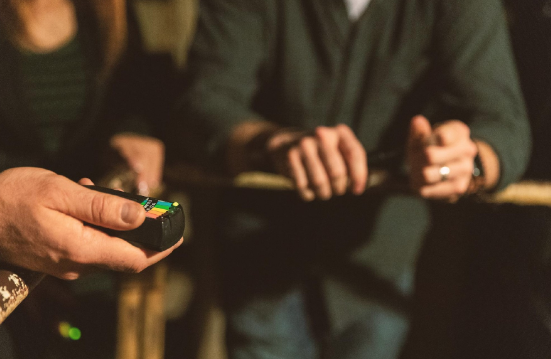 Each month, paranormal thrill seekers will be treated to an exclusive Glory Days Tour with Paranormal Ships Officer Chris Perley, a one-of-a-kind lecture and meet and greet with a special guest, and a paranormal expert investigation of the historic Rope Locker. Haunt lovers will have the opportunity to investigate these locations first hand by participating in this recurring paranormal research aboard the RMS Queen Mary. Join Chad Lindberg on Saturday, March 30 for the third installment of Voyage to the Other Side. Lindberg is a well-known actor on the CW’s Supernatural and starred as “Jesse” from the original The Fast and Furious, Lindberg has found a way to put his passion and his Paranormal Investigation skills to the test as the co-host of Destination America’s paranormal reality show Ghost Stalkers and can currently be found leading fans on ghost hunts across the country on Paranormal Investigations. Those who seek to keep the investigation going can review their paranormal findings at the Ghost Investigation Evidence Review Brunch with Chief Perley the following morning on February 24 and March 31. Guests can indulge in the Queen Mary’s Royal Sunday Brunch and uncover their haunted findings with one of the ships resident Chiefs. Tickets to Voyage to the Other Side start at $275 and include a meet and greet hour with paranormal celebritie(s), (1) meal voucher (*tax and gratuity not included), exclusive Glory Days Tour with Paranormal Ships Officer Chris Perley, Private Ghost Hunt with a celebrity ghost hunter in the Queen Mary’s Rope Hold and Revenant Room. Tickets to the Ghost Investigation Evidence Review Brunch are an add-on, starting at $125 per person. To purchase tickets and for more information on pricing, hotel packages and more visit www.queenmary.com. Located in the Port of Long Beach, the Queen Mary, an Urban Commons property, features a rich maritime history, authentic Art Deco décor, and stunning views of the Pacific Ocean and Long Beach city skyline. At the time of her maiden voyage in May of 1936, she was considered the grandest ocean liner ever built. The Queen Mary’s signature restaurants include Sir Winston’s, Chelsea Chowder House, Promenade Café, Observation Bar, as well as, a weekly award-winning Royal Sunday Brunch served in the ship’s Grand Salon. History buffs enjoy the ship’s museum with various daily tours, and currently the ship is featuring their newest exhibition, Their Finest Hours: Winston Churchill and the Queen Mary. The Queen Mary features 35,000 square feet of event space in 13 remarkable Art Deco salons as well as a tri-level, 45,000-square- foot Exhibit Hall. The Queen Mary boasts 347 staterooms including nine suites. For more information or for reservations, visit www.queenmary.com or call (800) 437-2934. The Queen Mary is located at 1126 Queens Highway in Long Beach.